You do not need to be an artist to create great-looking store layouts. 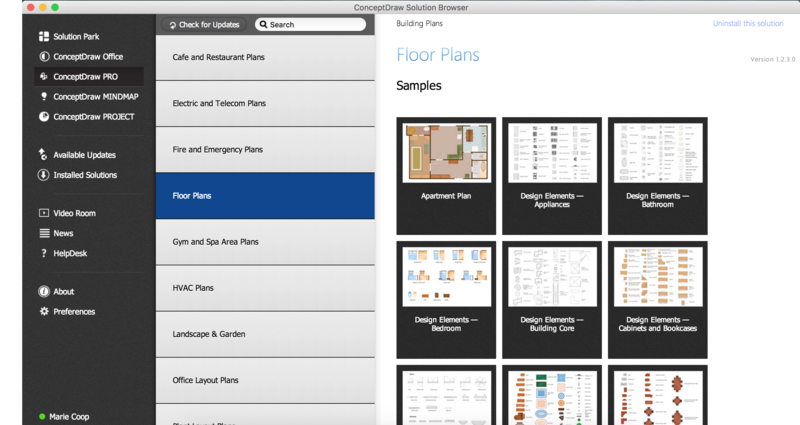 ConceptDraw has many examples and templates for drawing floor plans and restaurant layouts. with the our store design program. You will find more than 10000 stencils for all store layouts in. Pic 1. 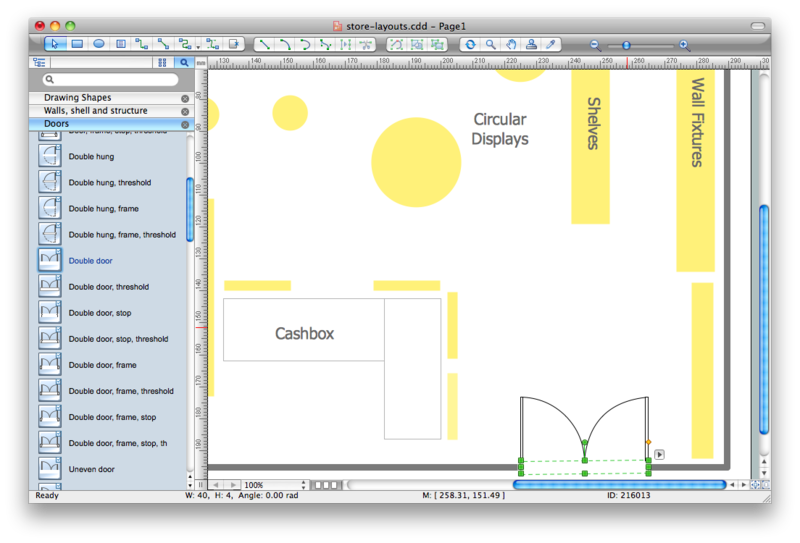 ConceptDraw DIAGRAM software for store layouts design. Using the templates and samples from the Floor Plans Solution you can create the anyone store layout quick, easy and effective. the libraries of Floor Plans Solution from the Building Plans area of ConceptDraw Solution Park. Pic 2. Store layout sample. The store layouts produced with ConceptDraw DIAGRAM are vector graphic documents and are available for reviewing, modifying, converting to a variety of formats (image, HTML, PDF file, MS PowerPoint Presentation, Adobe Flash or MS Visio), printing and send via e-mail in one moment. Microsoft Azure is widely used cloud platform which was created by Microsoft and now is managed by Microsoft datacenters in 19 regions of the world, and has a wide set of benefits and features. ConceptDraw DIAGRAM v12 diagramming and vector drawing software extended with Azure Architecture Solution from the Computer and Networks area of ConceptDraw Solution Park is the best for designing various pictorial infographics, illustrations and materials showing the possibilities and work of Microsoft Azure Cloud System and Azure services.